How to find an iPhone if it is discharged or turned off? Apple products have always had a special status with customers. They are not stopped even high enough, as for the average audience price - the status above all. But when such a coveted phone disappears, due to personal dispersion or theft, its owners begin to wrestle with how to get it back. 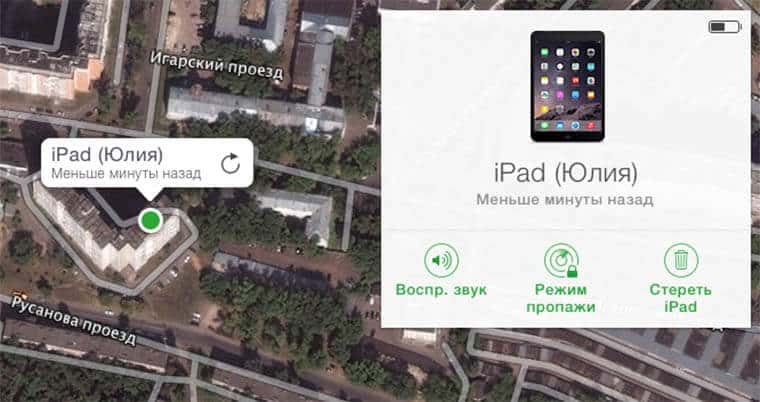 Fortunately, the company itself in this regard is somewhat subordinate - in each iPhone there is a beacon or a geolocation function “Find My iPhone” (in the Russian version - “Find the iPhone”). The search is carried out through the Internet, provided that the smartphone itself is turned on and has an active connection to the network. 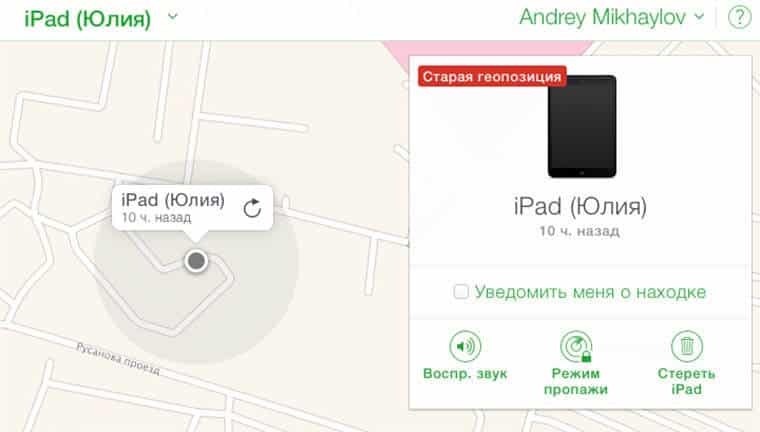 In this case, the service will give the exact coordinates of the device, but what to do and how find iphoneif it is physically turned off (for example, the battery is low) or does not have an internet connection? We will try to find answers to this question in this article. What is the main snag? Despite the fact that Android smartphones make up more 80% of all sold, and their average cost is 4-5 times less than the current iPhone models, they don’t even have a hint of the search capabilities of apple gadgets. Undoubtedly, there are developments in this direction, but it is more likely third-party software, not always free. As for the iPhones, the “Find My iPhone” feature was implemented as an “onboard” back in the 2010 year. Today, it is an integral part of any Apple gadget, including the iPad, Mac. In the new models running iOS8 and higher, it is tied to the iCloud cloud data exchange service. However, every iPhone owner should know that this feature is not enabled by default. It is present in the “Settings” system menu in the “iCloud” tab, where it can be found and activated. The manufacturer itself strongly recommends doing this as soon as the phone is first turned on. Along the way, through the “Privacy” menu you need to enable the geolocation option and also take care of additional data protection. In the “Settings” menu, you must select the “iCloud” tab and activate the “Password protection” option. In this case, you can disable the search system manually only after the secret combination is introduced. 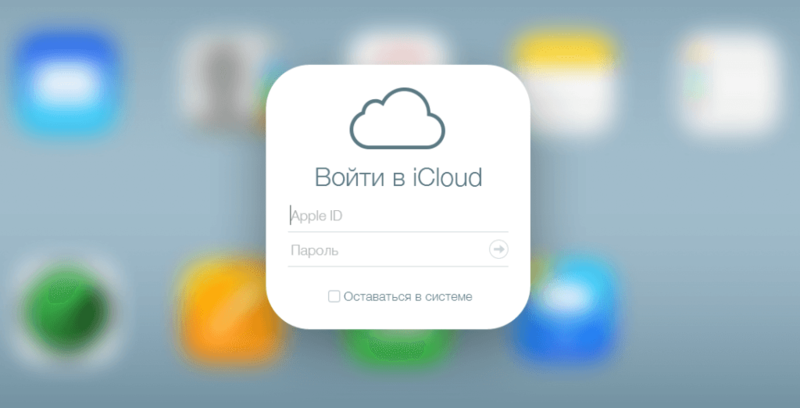 You need an additional device (smartphone, tablet, laptop, PC, not necessarily manufactured by Apple), with Internet access to connect to the iCloud site. If at least one of the first two conditions is not met, then it does not make sense to use standard search methods, since they will not give any result. However, to remind them in brief is necessary, because at any time someone can find and turn on the gadget. If a missing is detected, then you need to start activating the search option “Find My iPhone” by visiting the official iCloud website. The first thing that the user will meet on his way is the authorization dialog in the system, where he will have to enter the login and password AppleID - a single account. If the function was activated earlier, then the account was probably created, otherwise it is impossible to get access to the services of the company (iTunes, AppStore, etc.). After entering you need to select the appropriate menu item and a window will open in the window with a dialog to select the device to search for. Recall that you can connect several Apple gadgets (phone, tablet, etc.) to a single account and synchronize via the cloud service. In this case, from the drop-down list you have to choose the one that was lost / stolen. If at the time of entering the service, the smartphone is connected to the Internet, then the dot on the map will be colored green, and the battery charge icon will be displayed in the menu. Otherwise, the point will have a gray color, and the indicated position will indicate the place of the last Internet connection. The menu displays the time elapsed from that moment and the request for notification - if suddenly the phone turns on and after a time there is an attempt to connect to the network, an e-mail with exact coordinates will be sent to the email address of the owner. Play sound. The iCloud service sends a command to the gadget to play a loud signal that can attract the attention of others. Loss mode. The main action on the loss of a smartphone. When it is activated, an notification will be sent to the iPhone asking to call back the find to the specified number. The smartphone itself will be locked with a security password. 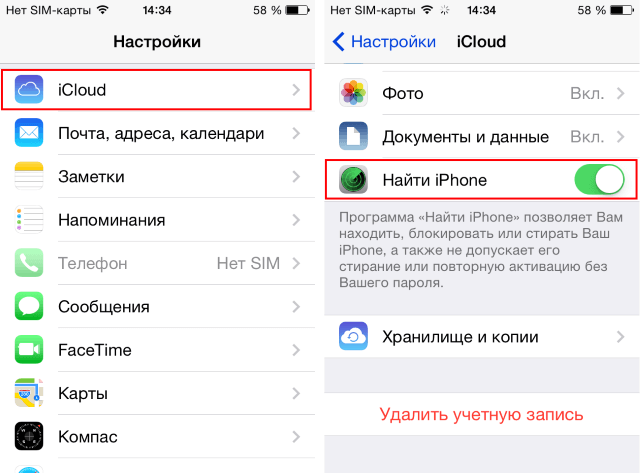 If it has not been previously entered in the iCloud menu, the program will offer to do this through a dialogue. Wipe off iPhone/iPad/Poppy. An extreme measure on the case when to find a lost gadget is not possible. In this case, all documents and personal data of the user will be deleted from the smartphone. After performing this action, the geolocation function will no longer be able to track the gadget. In conclusion, I would like to remind you that all these options will be performed only when the iPhone connects to the Internet. If the battery on the missing iPhone does not work, then further actions will depend on whether the function "Find My iPhone" was activated or not. If the answer is yes, then you definitely need to start with the standard search procedure described in the previous section. Sooner or later, the gadget can find, charge and try to access the Internet, then the options are activated. Try to dial the number of the lost gadget. The possibility that the phone is somewhere nearby or that it will be found by an adequate person who will return it to its owner always exists and cannot be neglected. Change authorization data AppleID. By changing the passwords for a single account and accounts of services, electronic mailboxes, social networks, you can prevent unauthorized access to them. Contact operator. In order for the person on the other side not to be able to use communication services, you need to block the SIM card through a request to the customer support service. Contact the Ministry of Interior. When drafting the application, you will need to specify the model of the smartphone and its IMEI. You can find the code on the back of the gadget, on the packaging, in the system menu. Obviously, in the case of disabled security measures (search function), only a happy event or the Ministry of Internal Affairs can help in the search, the desire to look for which phone can often also be compared with happiness. 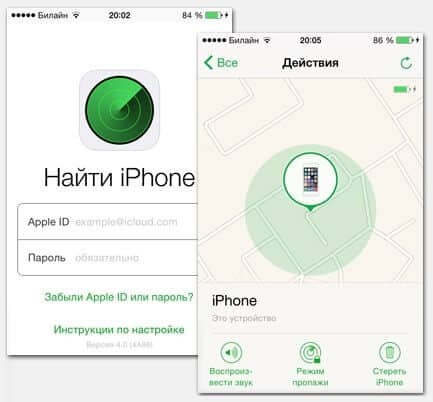 Appsgames⟾Useful iOS⟾How to find an iPhone if it is discharged or turned off?